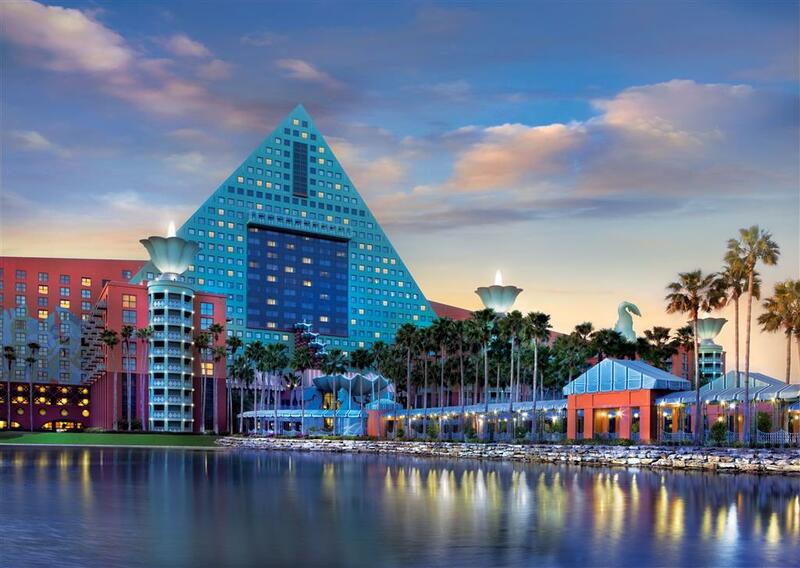 With a stay at Walt Disney World Dolphin in Lake Buena Vista (Bay Lake), you'll be steps from Walt Disney World® area and Walt Disney World® Resort. This 4-star resort is 1.8 mi (2.9 km) from Disney's Hollywood Studios® and 3.1 mi (5 km) from Epcot®. Make yourself at home in one of the air-conditioned rooms featuring refrigerators and flat-screen televisions. Your pillowtop bed comes with premium bedding. Wireless Internet access (surcharge) is available to keep you connected. Private bathrooms with shower/tub combinations feature complimentary toiletries and hair dryers. Relax at the full-service spa, where you can enjoy massages, body treatments, and facials. After dipping into one of the 5 outdoor swimming pools, you can spend some time at the private beach. This resort also features wireless Internet access (surcharge), concierge services, and babysitting/childcare (surcharge). Spending a day of fun is easy with the complimentary theme park shuttle. Grab a bite at The Fountain, one of the resort's 12 restaurants, or stay in and take advantage of the 24-hour room service. Snacks are also available at the 2 coffee shops/cafés. Relax with a refreshing drink from the poolside bar or one of the 5 bars/lounges. Breakfast is available for a fee. Featured amenities include a business center, limo/town car service, and express check-in. Planning an event in Lake Buena Vista? This resort has facilities measuring 320,000 square feet (30 square meters), including conference space. Self parking (subject to charges) is available onsite. discover all that Lake Buena Vista can offer you!